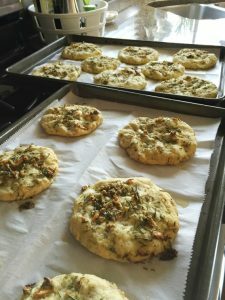 “This is one of my favorite ways to make a really quick focaccia. 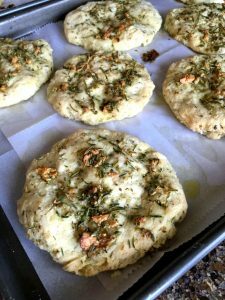 It’s incredibly easy and they are very tasty, perfectly sized for individual servings and go great with salads and pasta. I even love to pop the leftovers in the toaster and eat them warmed when I’m hungry for a “bread-like” snack. Mix it all together with a fork and set aside. 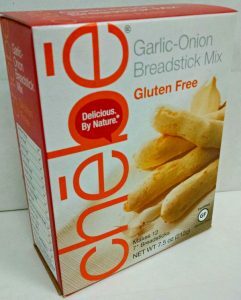 In a bowl and with a fork, blend the Chebe mix with the garlic powder, oregano and thyme. Continue mixing in the water, eggs, and oil. 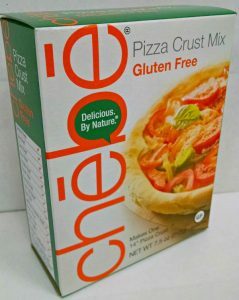 Pinch or cut dough into 14 pieces. 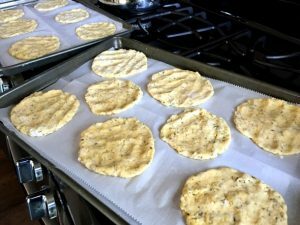 Pat out each dough piece onto parchment lined baking sheets (2). 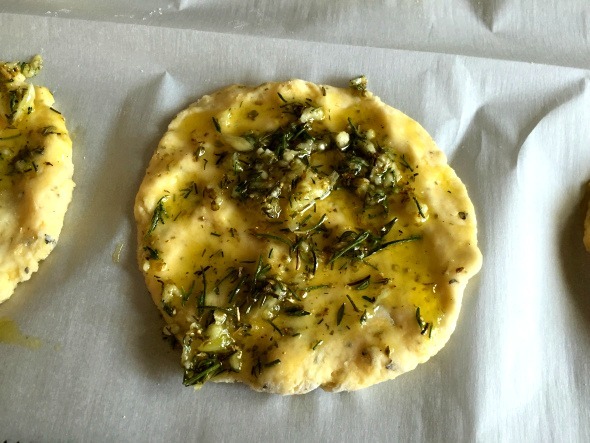 With a pastry brush, generously brush each focaccia with the oil and herb mixture. You will have some leftover which will be used to brush over the top again after baking. 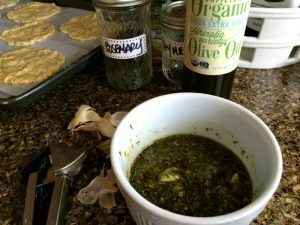 Remove from oven and brush with remaining oil/herb mixture. Enjoy! *For an egg-free version, use 12 Tbsp aquafaba.